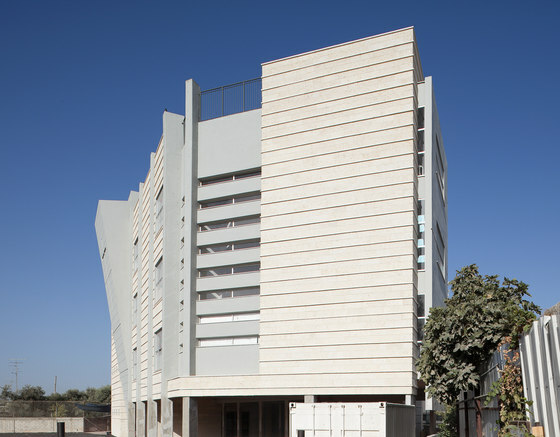 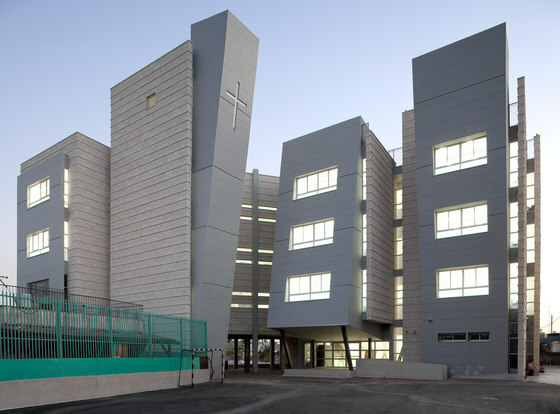 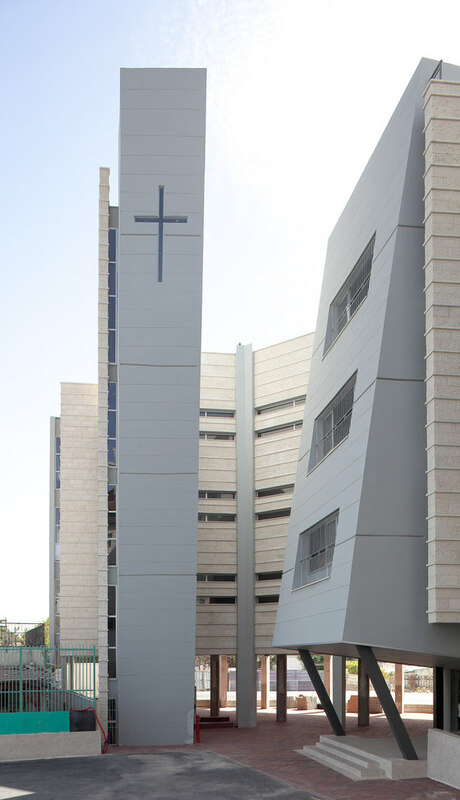 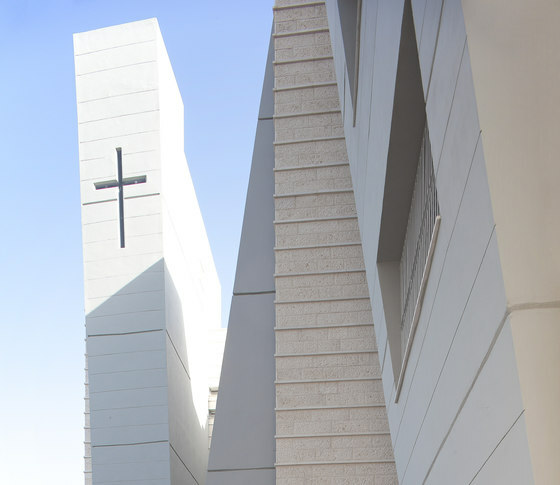 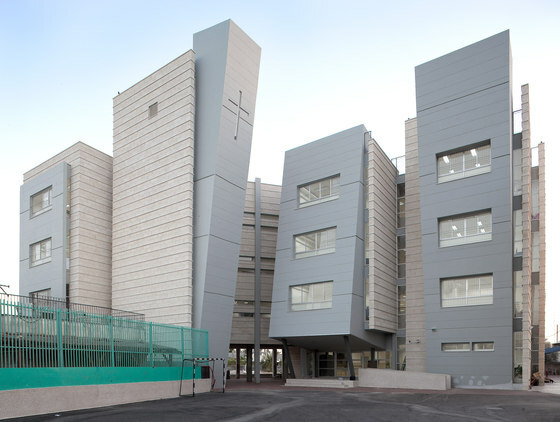 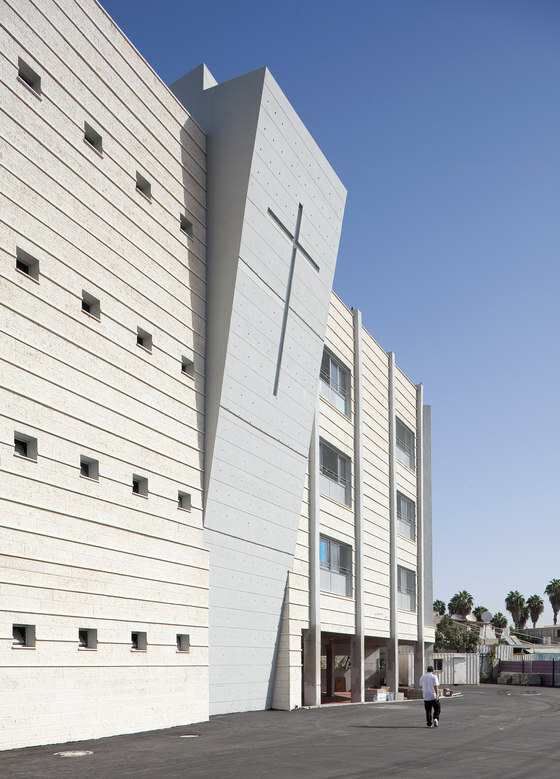 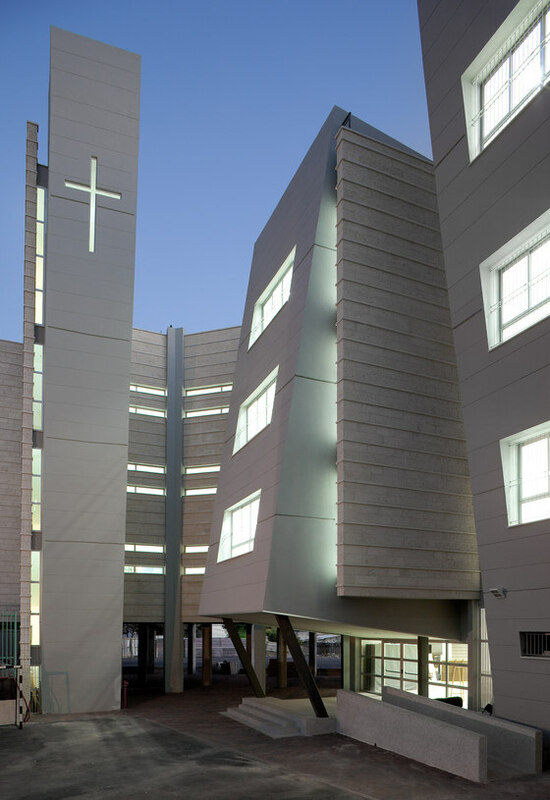 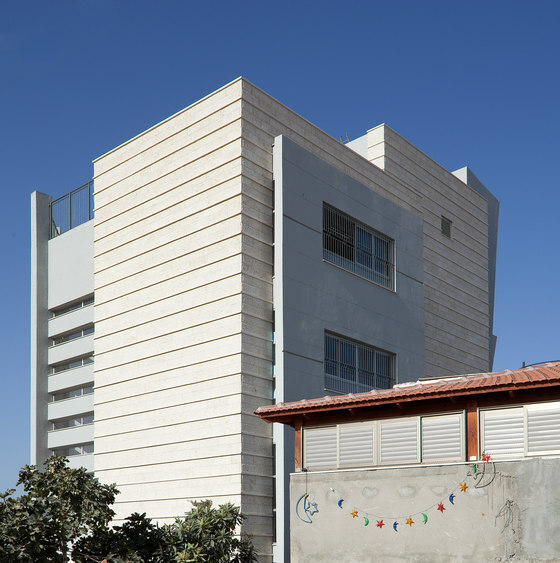 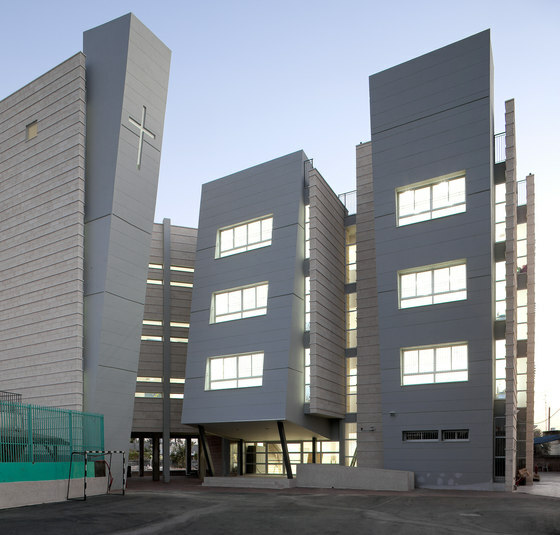 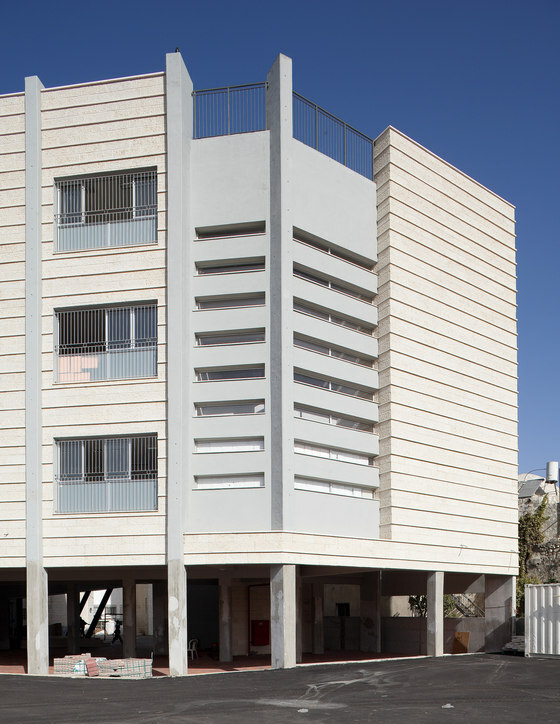 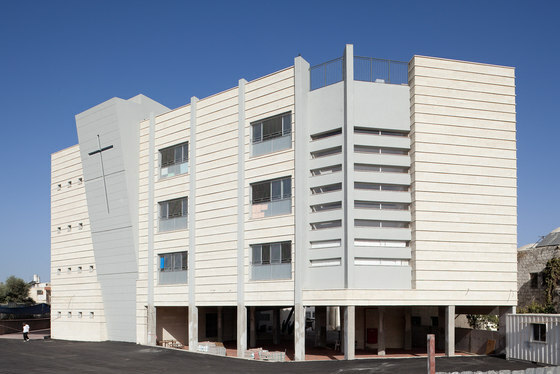 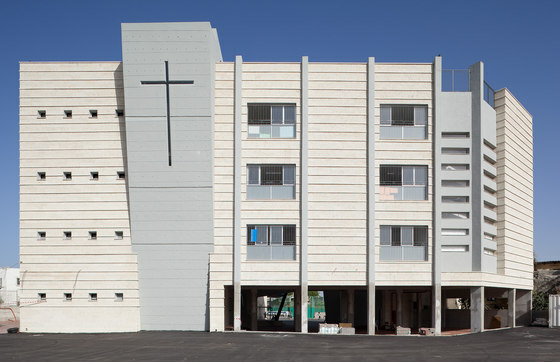 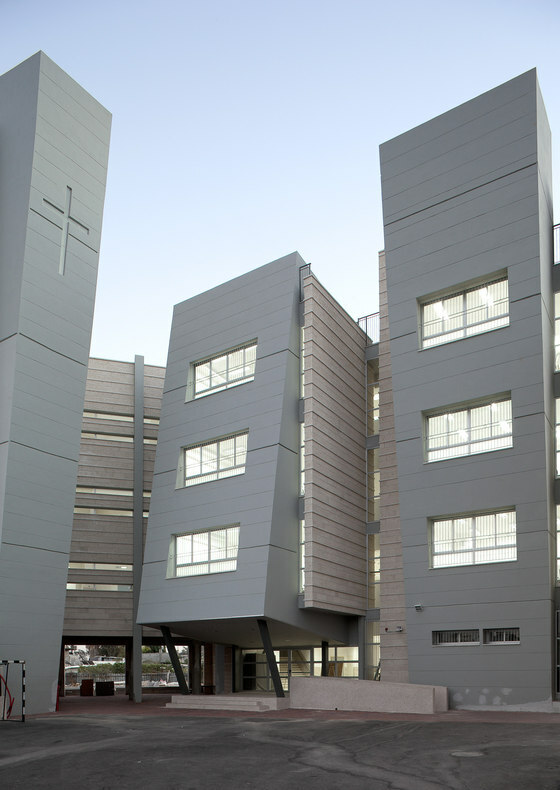 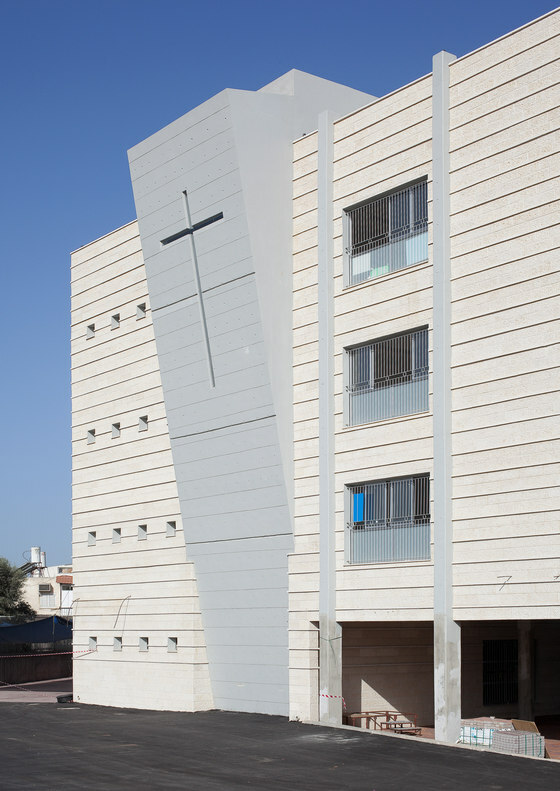 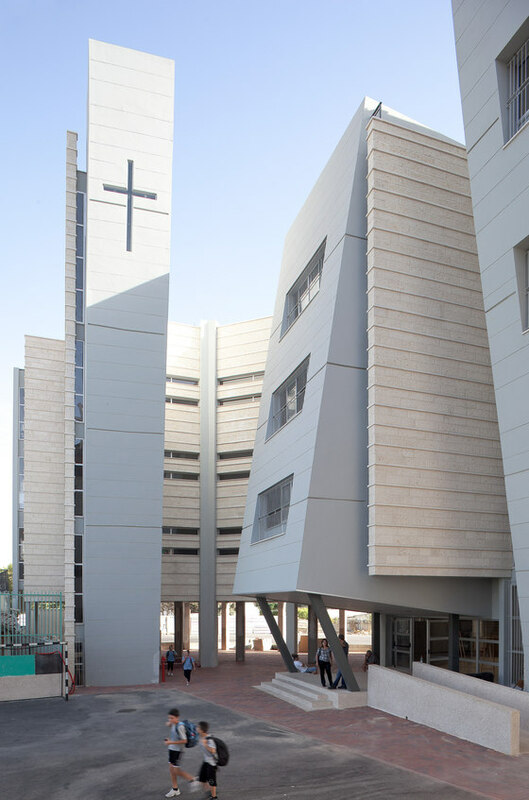 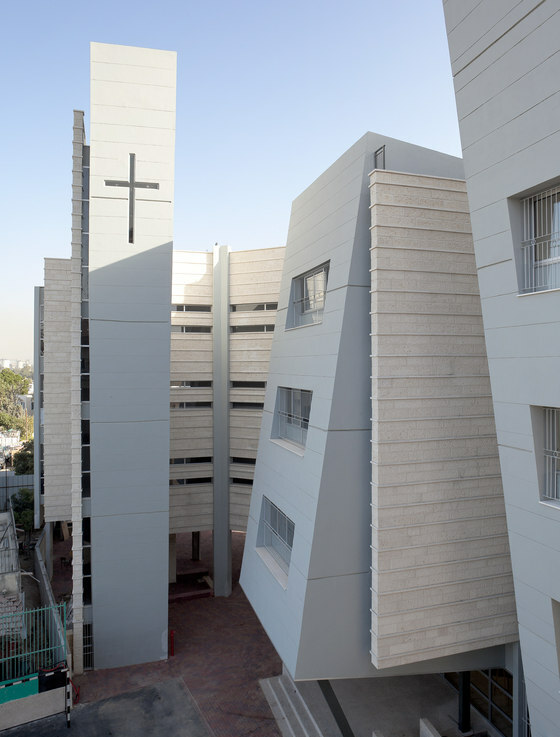 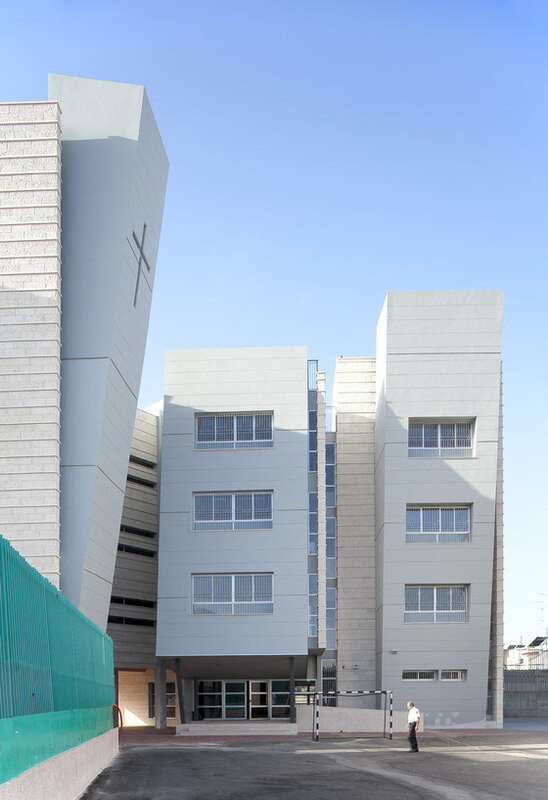 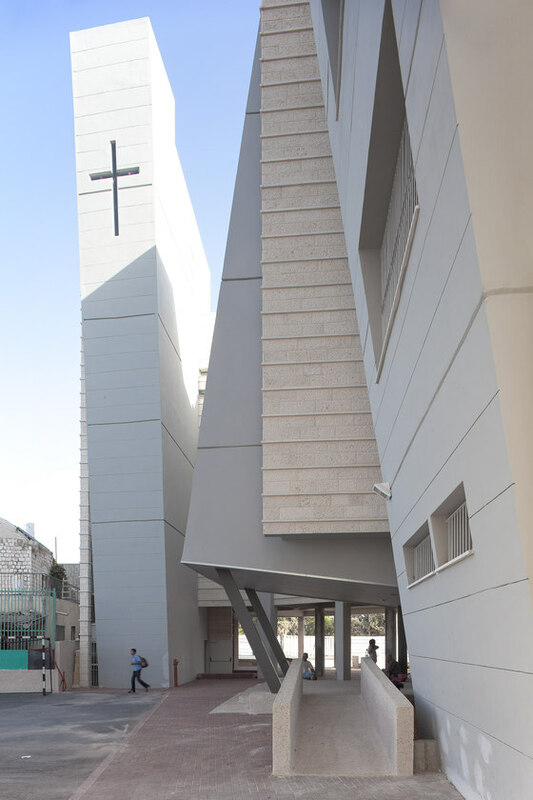 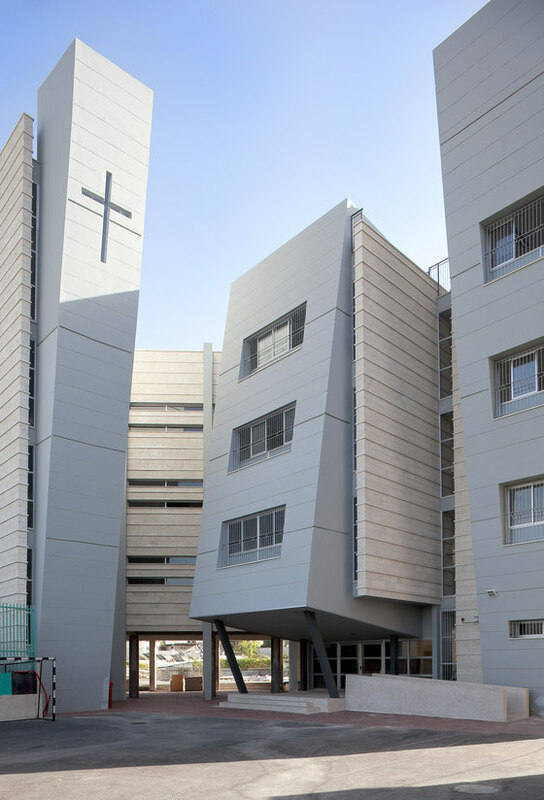 Inaugurated recently at the heart of the old city of ramle, the Orthodox school was planned in response to the classroom shortage within the Christian community of the city. 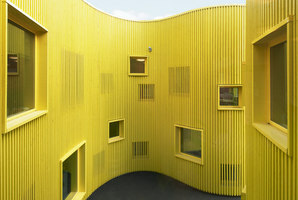 The small plot and the need to connect with the historical fabric created a dense continuum of bifurcated yards. 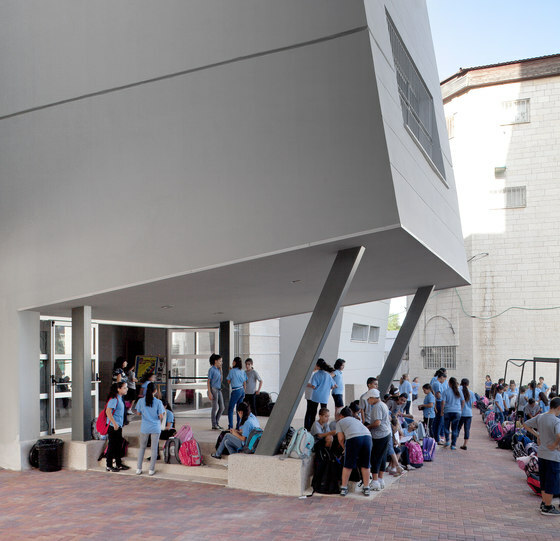 Placing the new structures adjacent to the trapezoid sport-court of the existing school created a central place for outdoor activities. 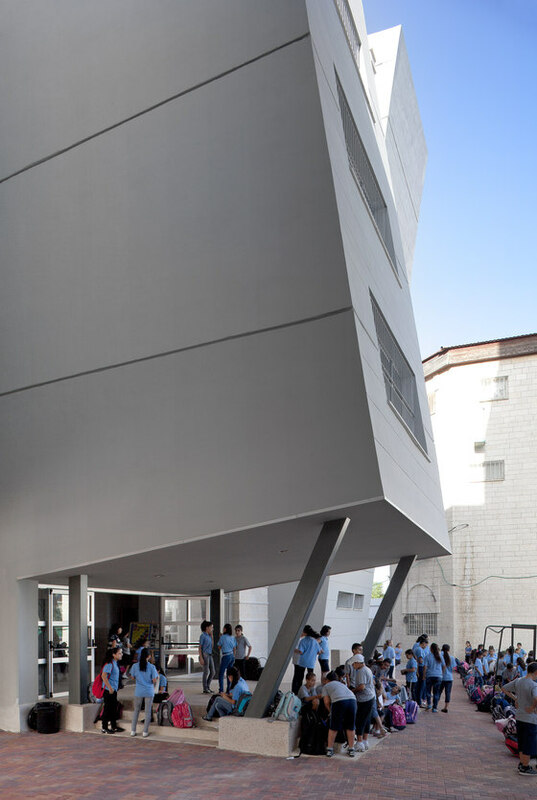 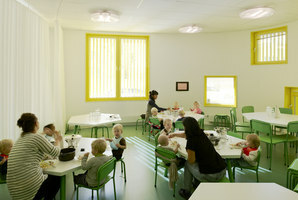 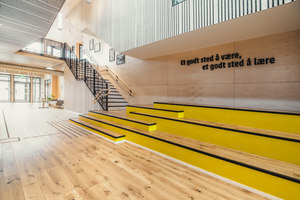 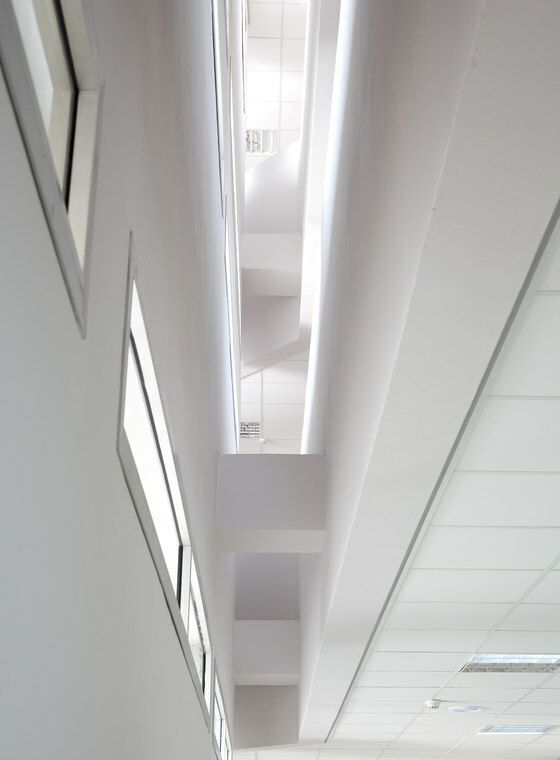 This spatial continuum was further enhanced by uplifting the buildings – enabling free movement contributing to possible interaction between the students and teachers, in ventilated and shaded spaces. 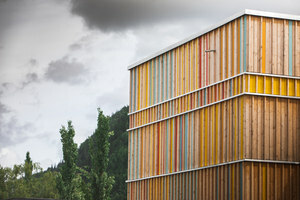 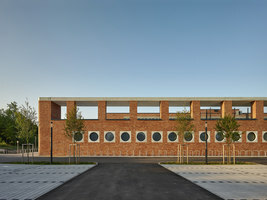 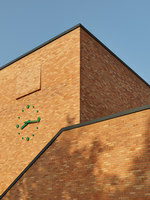 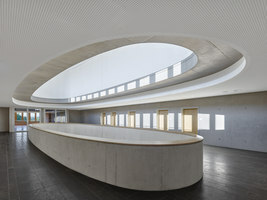 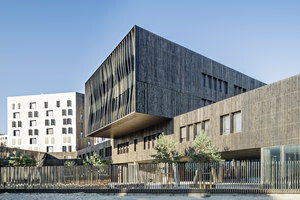 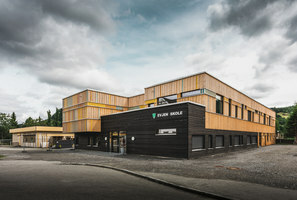 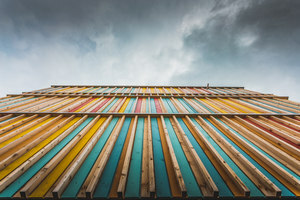 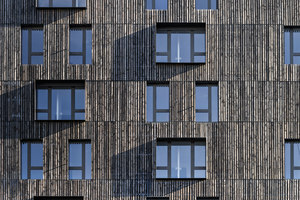 The natural connection to the neighboring buildings has done much to strengthen the ties with the community, who sees the new building as their cultural icon. 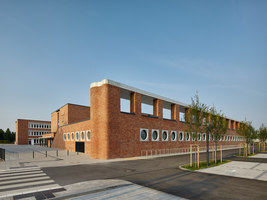 As the density had created mutual shading- lacking natural light- some of the buildings have been slanted toward the yard with especially large windows and skylights. 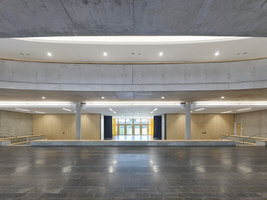 Placement of the rooms on either side of the buildings has prevented the need for long corridors, creating spacious passages that serve for the leisure, exhibitions, and games. 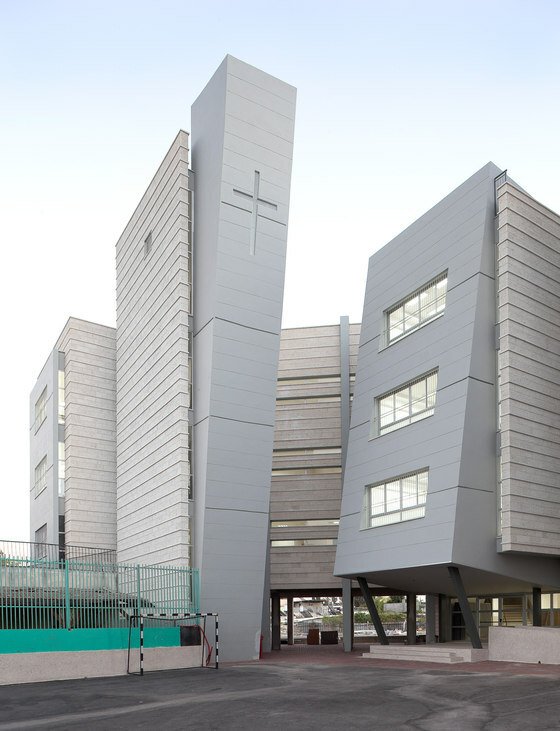 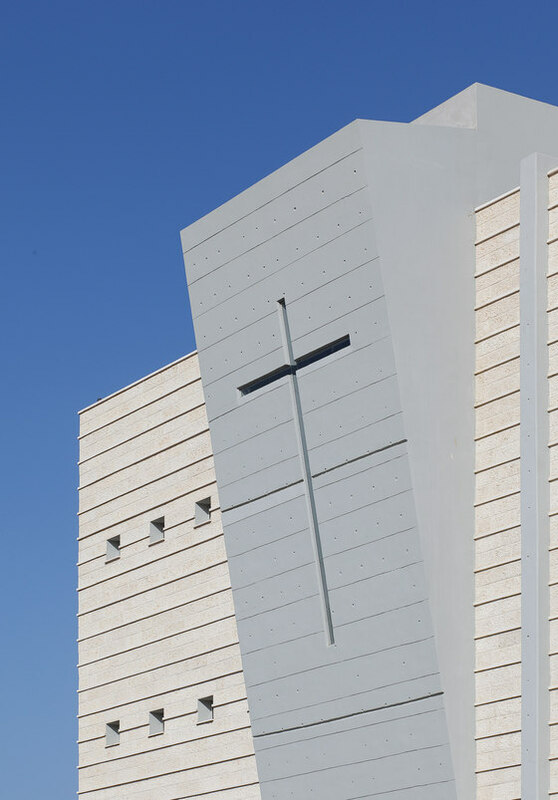 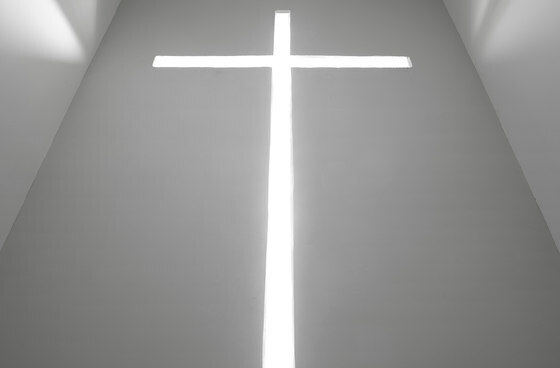 Built-in crosses, reminiscent of tadao ando's church of light, have enhanced the inside-out relations.